Photo by Linden Hudson (amateur photographer). Linden works as a sound man on film and video crews. 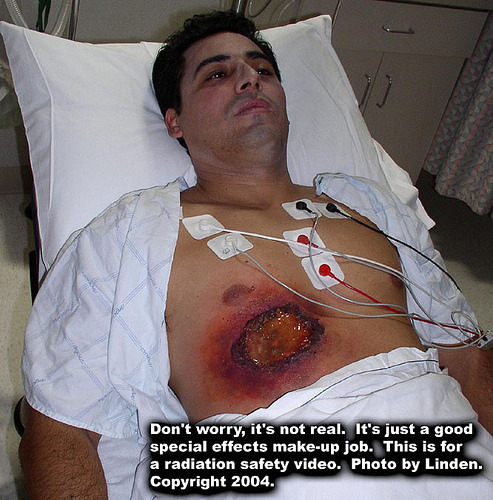 Sometimes film crews hire special effects make-up artists to do safety films.